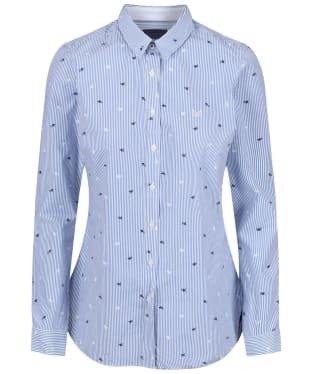 The Women's Barbour Hampton Shirt boasts a pretty striped design with an all over dog dobbly weave pattern that we know you will love. 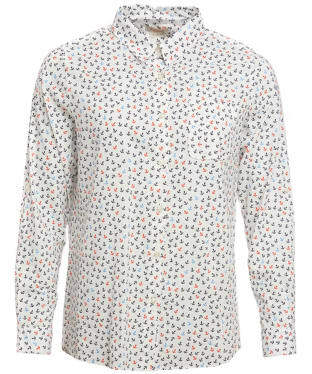 Crafted from 100% cotton for a comfortable feel, this shirt has been cut to a regular fit for ease of movement whilst still offering a stylish silhouette. 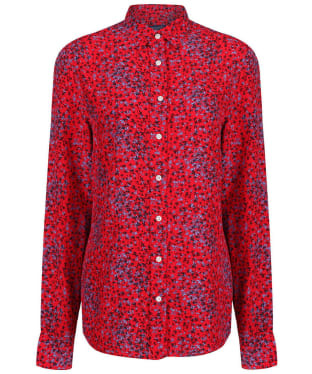 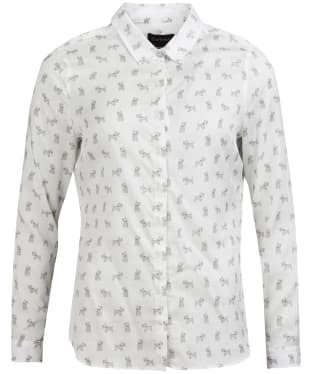 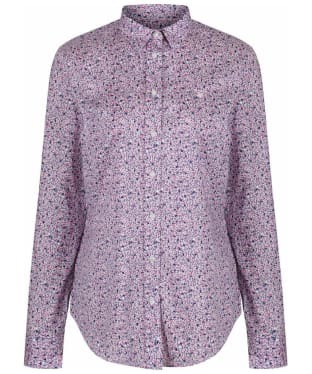 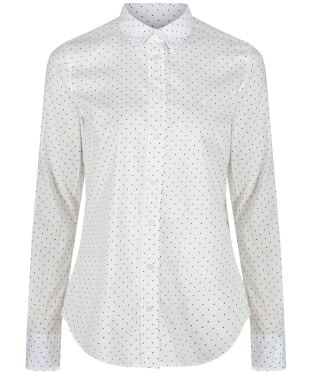 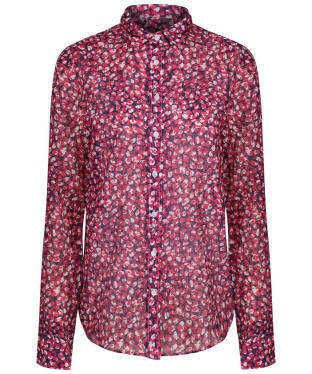 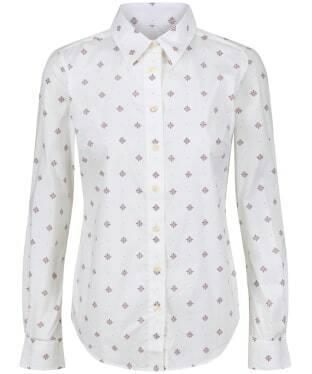 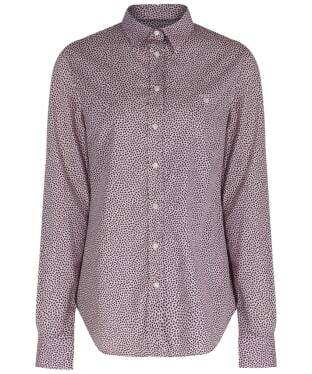 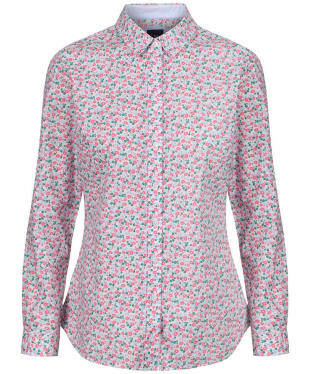 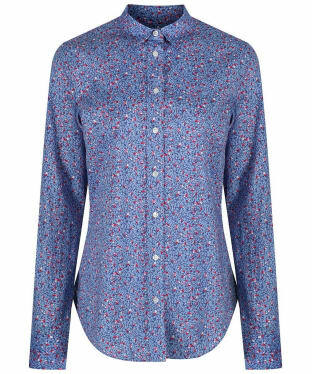 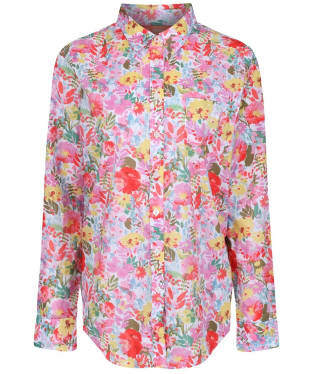 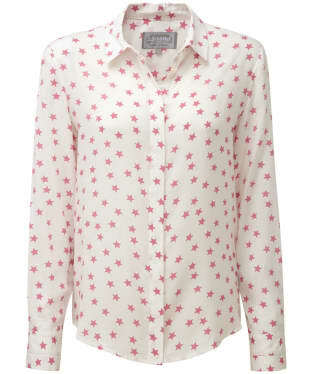 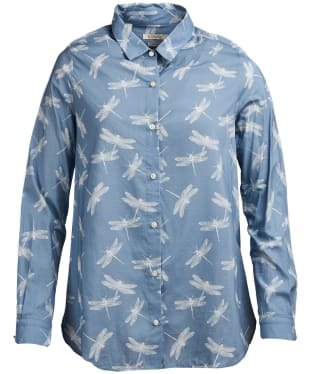 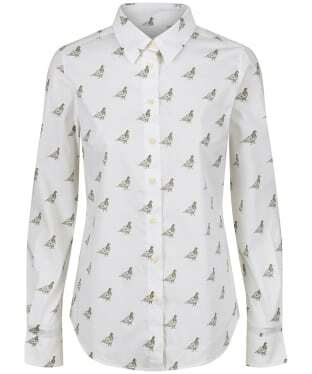 Cute and on-trend, this timeless shirt is sure to be your new favourite wardrobe item. 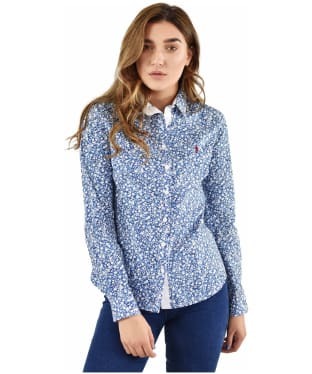 Perfect for pairing with your favourite jeans, chinos or shorts, the Women's Barbour Mast Shirt will complete your stylish attire with ease. 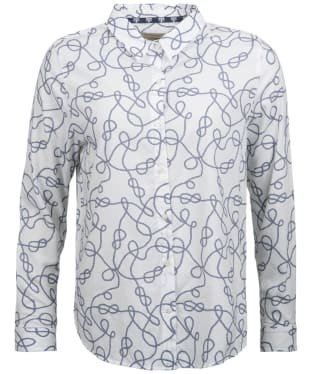 Soft and comfortable, this shirt has been cut to a relaxed fit, offering ease of movement and boasts an all over printed nautical rope design for a coastal inspired, timeless look. 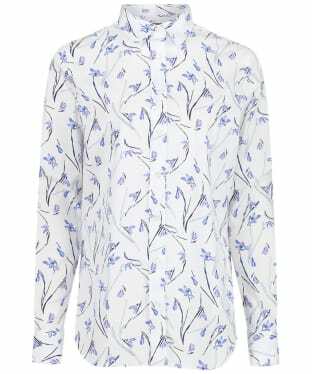 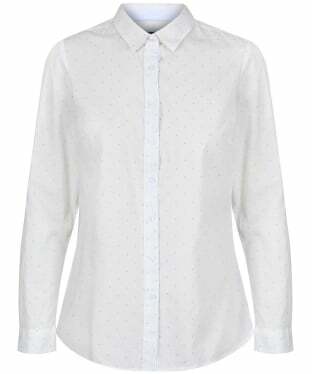 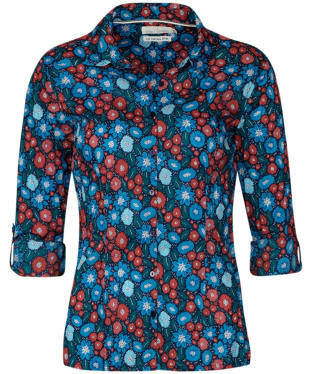 A smart and stylish addition to any lady's wardrobe, the GANT Snowdrop Shirt Blouse boasts a chic all over snowdrop print for a pretty feel that you are sure to love. 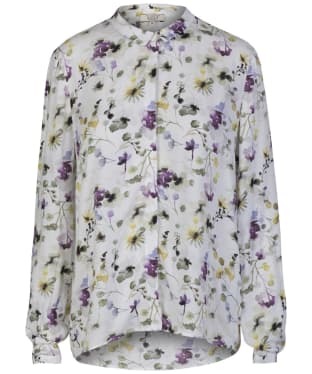 Crafted from luxurious crepe viscose, this shirt will drape over your body beautifully to flatter your figure, giving you a feminine silhouette. 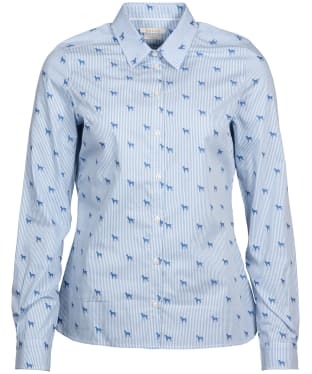 Super soft and comfortable, this shirt features a spread collar and adjustable button down cuffs offering a smart look that will take you from the office into town with ease. 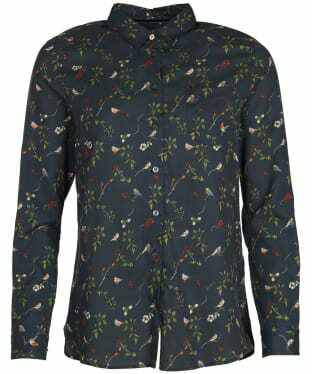 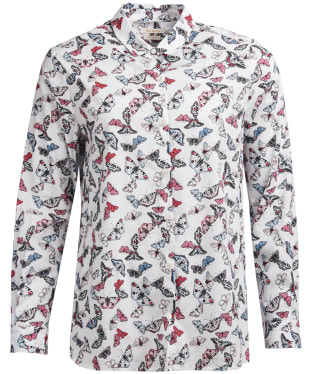 Featuring a stunning hand drawn 'Berry and Bird' print, this Barbour Siskin Shirt is perfect for smart or casual events. 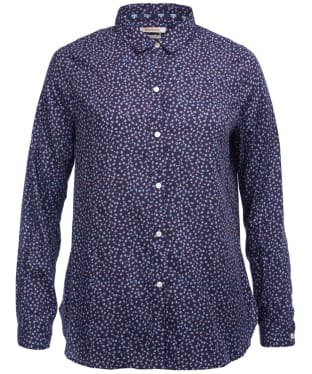 Cut to a relaxed fit, this Barbour shirt is perfect for all shapes and sizes, and can easily accommodate layers underneath. 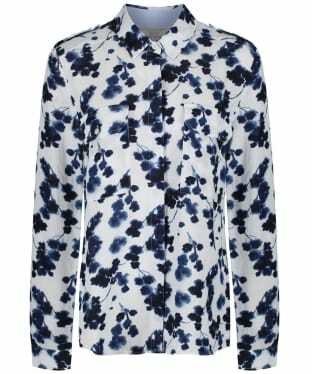 Crafted from a stunning blend of soft cotton and sustainable Lyocell – a fabric woven from natural fibres – the Siskin shirt will wash and wear beautifully time and time again. 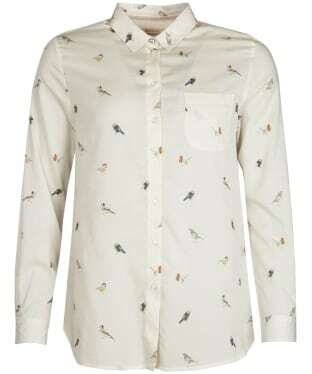 The Siskin shirt is finished with a button down finish, buttoned cuffs and a metal Barbour logo ID bar to the back neck. 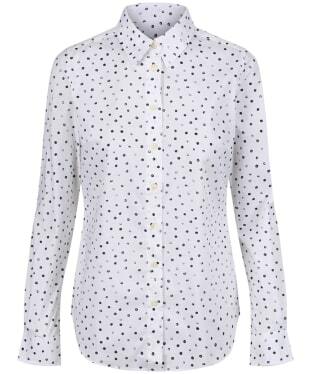 Perfect for taking you from the office to town with ease, the Women's GANT Polkadot Stretch Broadcloth Banker Shirt is easy to wear and has been cut to a regular fit offering a straight silhouette and regular length making it an ideal everyday outfit choice. 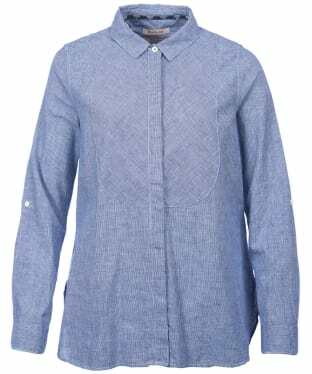 Crafted from super soft cotton broadcloth with an added touch of elastane, this shirt will be comfortable to wear all day long. 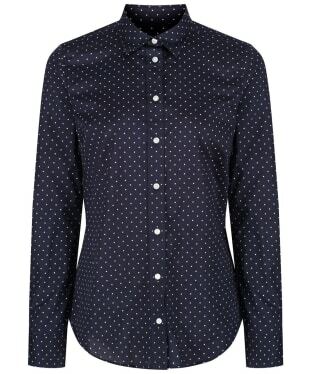 For an on-trend feel, this Banker Shirt boasts a polka dot print and is finished with subtle GANT branding for that added touch of quality and style. 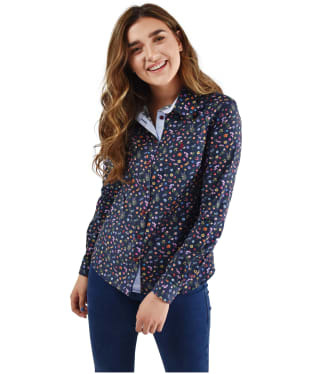 The Women's Barbour Weymouth Shirt is perfect for those smart casual days this season and beyond and is crafted from a cotton blend for a soft and comfortable finish you are simply going to love! 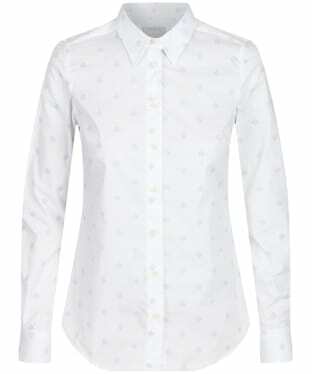 Cut to a relaxed fit, this shirt is breathable enough to wear all day long, and will keep you looking stylish and smart wherever you may be heading. 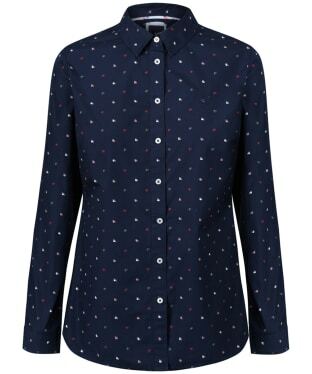 A final touch of detailing comes from the branded buttons and Barbour beacon logo on the hem and this will look great paired with jeans or trousers for a classic smart casual look. 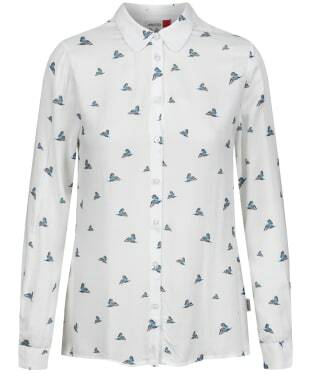 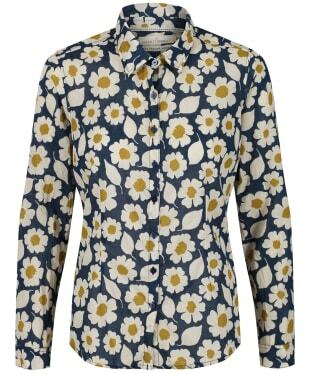 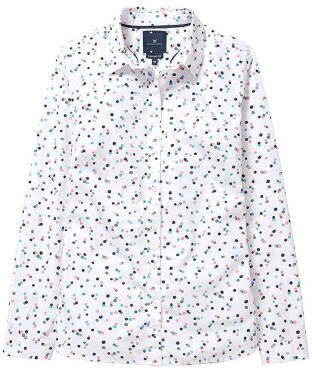 A wardrobe essential for any fashion forward lady, the Women's GANT Snowdrop Shirt is perfect for pairing with your favourite jeans, GANT jacket and boots to complete your on-trend attire with ease. 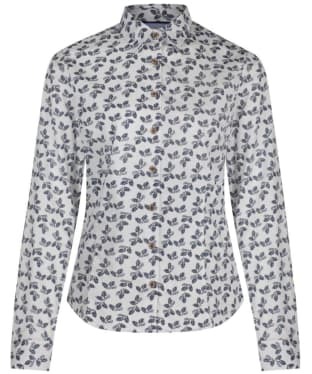 Boasting a beautiful snowdrop design, this shirt is a versatile piece that will take you from the office into town in style. 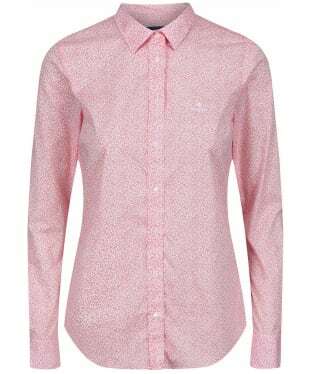 Cut to a slim fit, this shirt will flatter your figure whilst offering a touch of stretch to keep you comfortable all day long. 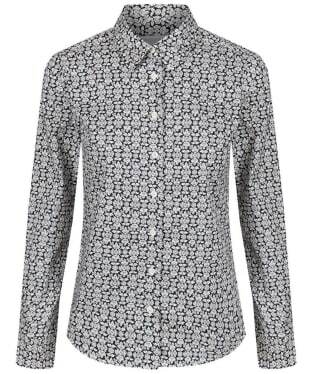 The Women's Barbour Whitby Printed Shirt is a relaxed-fit shirt is made in cotton blended with viscose for a soft, fluid feel. 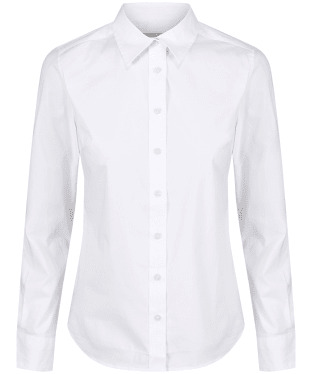 Roll-up sleeves feature branded metal buttons at the cuff, and an inverted centre-back pleat teams with curved side seams to add subtle, feminine appeal. 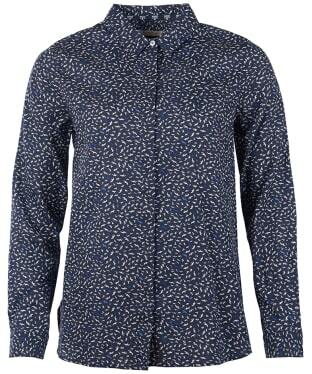 The all-over anchor print nods to Barbour's rich coastal heritage. 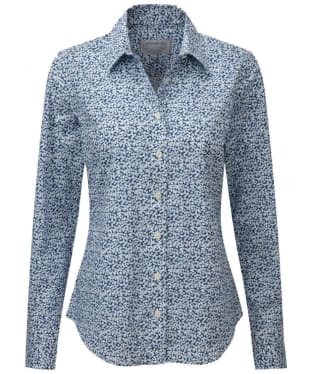 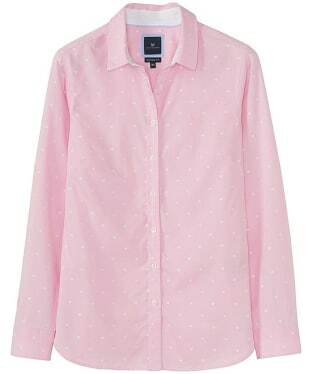 No stylish lady's wardrobe should be complete without the Crew Clothing Eastney Shirt. 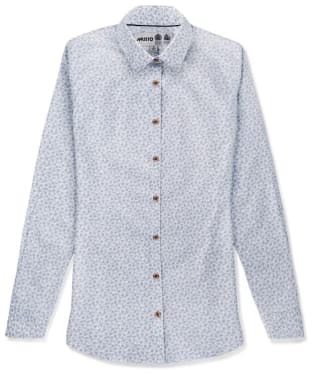 Crafted from 100% cotton poplin, you are sure to love the soft and comfortable feel of the Eastney, designed with button down cuffs and a classic button up front fasten for a super smart look that will keep you on-trend whether you are in business meetings or out with friends. 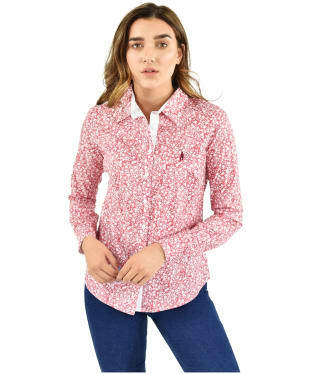 For that feminine chic feel, the shirt features a beautiful pattern, and is finished with Crew Clothing signature branding for that added mark of quality. 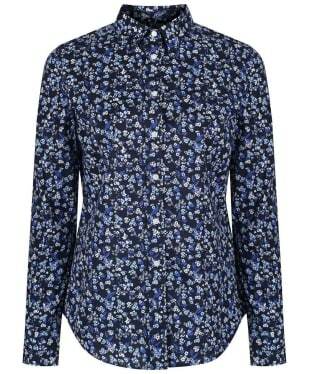 Team the shirt with your favourite Crew skinny jeans and jacket for a fashion forward, elegant look. 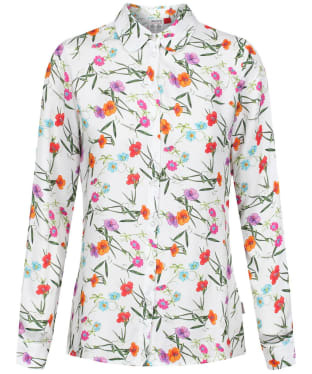 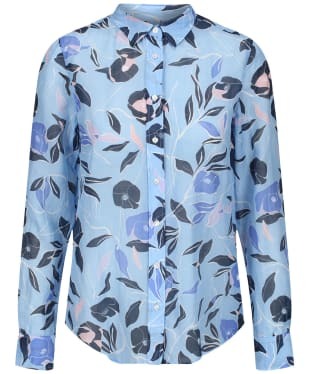 Add a touch of feminine style to your smart, casual look this season and beyond with Women's GANT Stretch Broadcloth Mini Floral Shirt, boasting an all over floral print you are sure to love! 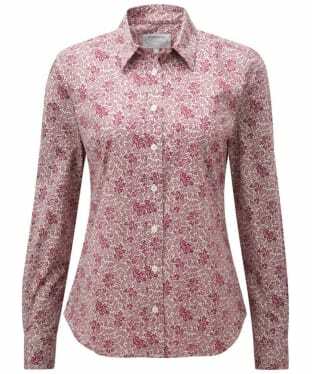 This beautifully designed shirt has been crafted from a blend of cotton and elastane to offer you an added touch of comfort and wearability. 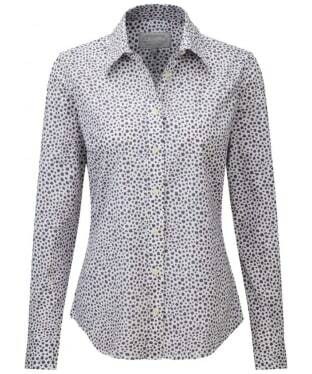 This shirt will carry you from work to weekend with stylish ease perfect for teaming with your favourite blazer. 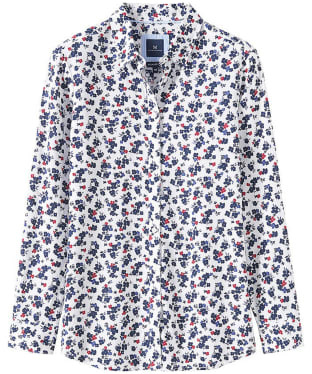 Crafted from a premium blend of cotton and silk, the Women's GANT Full Bloom Shirt features a unique floral print, making it ideal for the springtime. 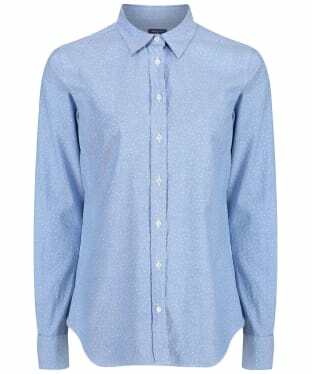 The long sleeves feature adjustable cuffs to ensure you can easily alter the shirt to suit your individual style, while the pointed collar keeps the look neat and timeless. 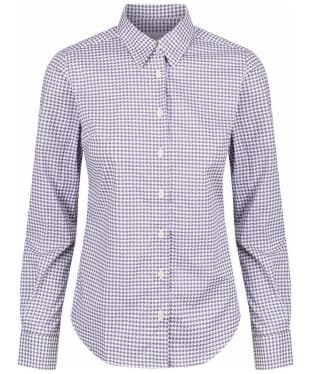 Expertly cut to a relaxed, straight fit, this GANT shirt is finished with a box pleat to the back to ensure ease-of-movement. 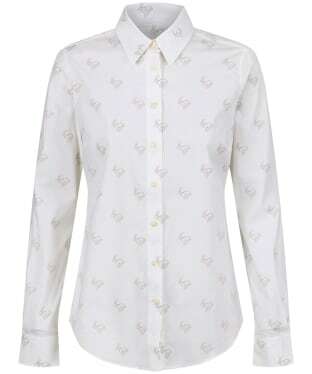 Add a touch of style to your look this season with the women's GANT Broad Cloth Leaf Shirt; this beautifully crafted shirt will carry you from work to weekend with stylish ease. 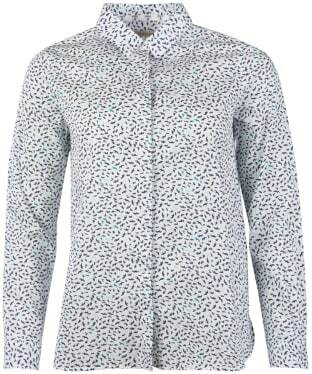 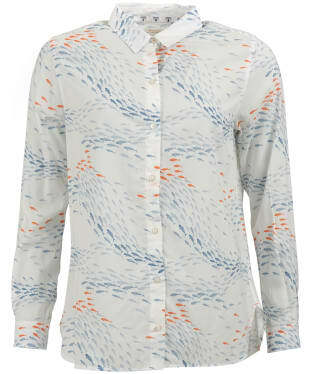 This stylish GANT shirt features an all over leaf print you are sure to love, crafted from a blend of cotton and elastane for an added touch of comfort and wearability. 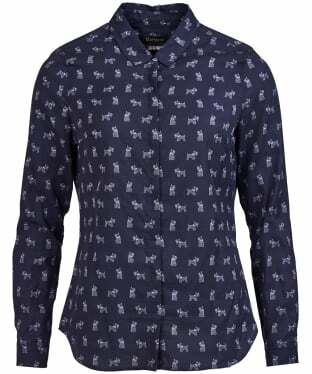 To complete your look team this shirt with one of a GANT blazer, perfect for giving a sharp finish to your look this season and beyond. 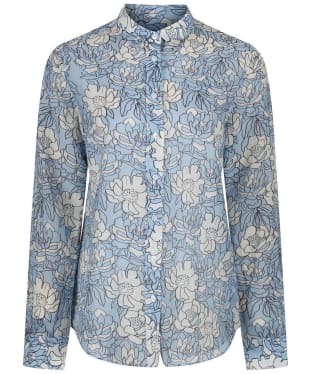 The Crew Clothing Agnes Print Shirt is a beautifully soft button down shirt with a luxurious viscose and linen construction, making it ideal for the summer months. 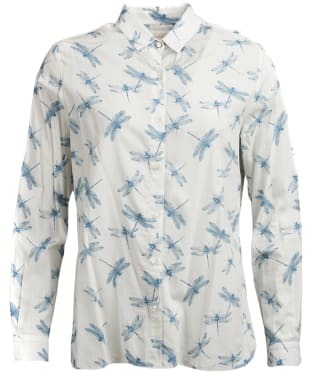 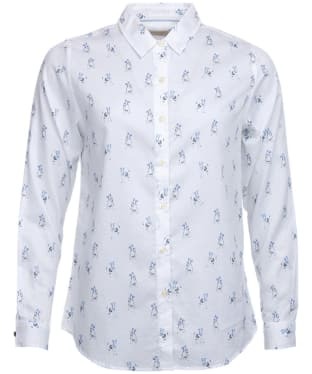 Featuring a bold, unique Crew Clothing print, this stunning shirt can be easily adjusted to suit your individual style with the buttoned cuffs and full button down style.